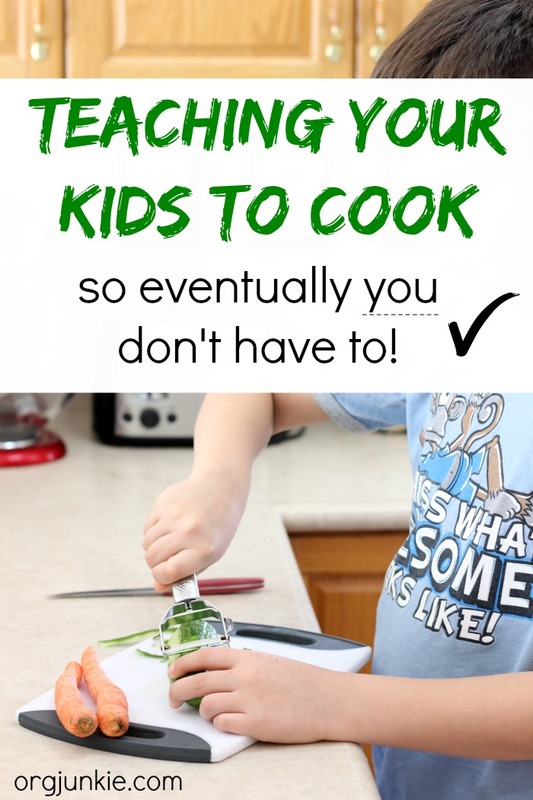 Teaching Your Kids to Cook So Eventually You Don't Have To! Teaching Your Kids to Cook So Eventually You Don’t Have To! So I suppose I should start this post by telling you how awesome you’d be to teach your kids how to cook so when they leave home they’ll be able to make themselves a decent meal. But that’s not really my motivation for this post. I mean it sounds good and all but really my motivation for teaching my kids to cook is simply so that I don’t have to. There I said it. 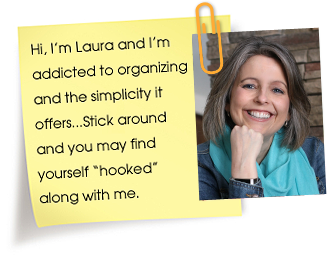 Hi, my name is Laura and I teach my kids to cook so I don’t have to!! In our house everyone has responsibilities, this isn’t a free ride. Nope we all pitch in. 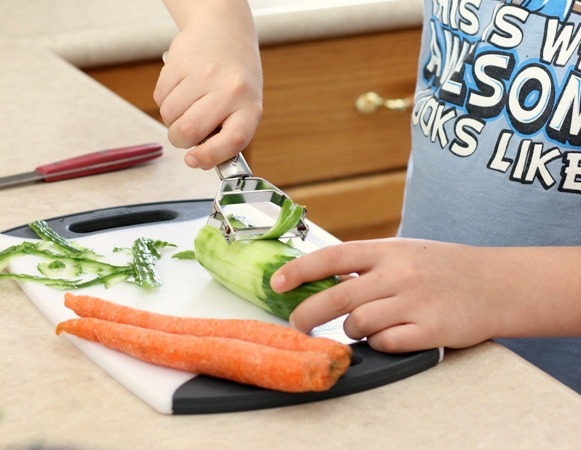 Is it easy to train up children to do the chores and cooking? Ummm definitely not. Let’s face it, we could for sure do it faster ourselves and certainly better but that’s because we’ve had years and years of practice. And that’s what we can give our kids. Years and years of practice. That doesn’t make us mean, that makes us smart! The more years of practice you can give your kids the better which is why it’s so important to start them young. My kids are older now, 20, 17 and 11. They all started helping out in the kitchen when they were little and each year I would increasingly give them more responsibility until eventually in their teens they were able to prepare entire meals for the family. That’s when all the years of training FINALLY pays off. It’s glorious people, absolutely glorious!! My sister is currently in the thick of kitchen training with her two girls ages 8 and 6. So because it’s fresher in her mind than it is in mine, I asked her to share with us some of her best teaching kids to cook tips. It can be extremely difficult to cook with kids at the beginning. Brace yourself and go slow. Remember, it’s just dinner and it doesn’t have to be perfect, keep expectations reasonable. Occasionally you may experience some fit throwing because they don’t want to help. The older they are when you start probably the more resistance you are going to get. Make it non-negotiable and tell them you can do this nicely (perhaps with an incentive) or you can do it with attitude and a consequence. It’s their choice but either way it’s still going to be done. You may have to leave the room a time or two for some deep breaths but stand your ground momma. You’ve got this and it will eventually be worth it, I promise! My sister has found that if she has both kids in the kitchen at the same time, chaos and fights ensue. 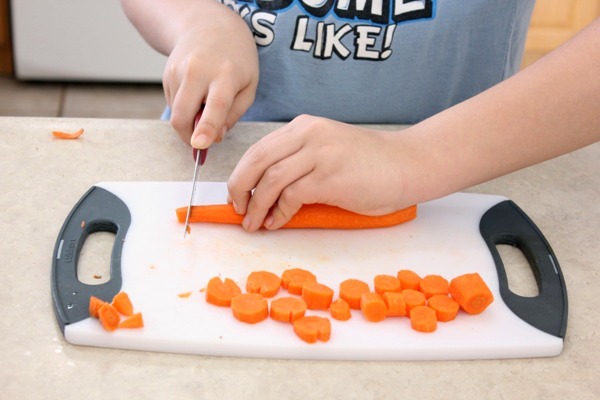 The way to avoid that and make the process more manageable is to have your kids take turns in the kitchen. Designating separate nights for each really helps. When my sister asks her kids what the best part of cooking with Mommy is, they say spending time with Mommy. So as you can see, at the younger ages they don’t see it so much as work yet. You want to capitalize on this time so that by the time it stops being fun as they get older (for some it might) it will already be established as a daily routine that needs to get done whether they like it or not. Menu plan with the kids so that they can choose recipes that they are interested in making. This gives them a sense of control over their food choices. Choose really simple recipes (the fewer the ingredients the better!) when first starting out, maybe even using kids recipe books. If your kids are able to read have them read through recipe books getting ideas of recipes they want to try. I know I said I teach my kids to cook so I don’t have to but really there are so many other benefits to it as well. When kids are part of cooking dinner they are much more willing to try new things. They may not like it but they are willing to try it and give it a chance when they cook it. They are also more aware of how much work goes into cooking for them and they appreciate it more. In addition, my sister told me that the first time her 8 year old made dinner for the family all on her own she was so proud of herself and it meant so much to her. It’s very cool how much you can see their confidence grow from week to week! 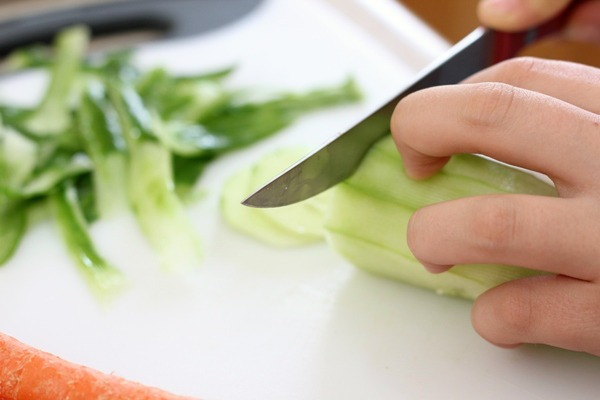 One of the areas that many parents get nervous about when it comes to teaching their kids to cook is teaching them the safe way to use a knife. Definitely an area to be concerned about which is why it’s important to teach proper knife techniques to them. Now my sister’s Executive Chef husband can obviously teach their girls the right way to hold and use a knife but the rest of us might not necessarily know how. Over the years you might have heard me mention a fantastic FREE kid’s knife video series from Kitchen Stewardship that I highly recommend. It’s coming soon, get on the waiting list now (at that link just click on where it says stay in the loop and enter your email)! It’s only available at certain times of the year but I’ve heard that it will be coming available again on April 1st. This same company will also be opening their popular Teaching your Kids to Cook Course (affiliate link) at the same time however please keep in mind that there is a cost to that program. If you leave your email address at the link above, they’ll notify you as soon as both of those two courses become available in April if you are interested. In part three of my teaching kids to cook series I’ll be sharing some recipe links that I think are great starter recipes for kids of all ages. They’ll be tried and true recipes that we’ve used and that I know work so stay tuned for that. In the meantime, check out my Pinterest boards that are dedicated to quick and easy meals and slow cooker recipes that you might find helpful. Which stage of kitchen training are you at? Are you just starting out, working on it or finally reaping the rewards of your teens preparing the entire meal (whoot, whoot!)? Your comment might be great encouragement for someone else. If you found this post to be helpful, don’t forget to share it with the other moms in your life. Thank you! 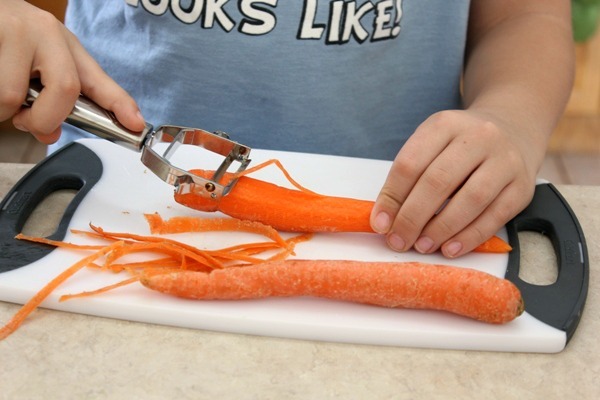 4 Responses to Teaching Your Kids to Cook So Eventually You Don’t Have To! It’s so funny I was just talking about this with someone the other day, how great it would be to have kids that could cook for me. I don’t have kids, but totally agree with having kids helping out around the house including the kitchen. My parents had me and my siblings do chores around the house, but sadly they didn’t get us involved in the kitchen. That could be one of the reasons I don’t like to cook. I wasn’t encouraged to cook either growing up and I too don’t like to cook. Interesting! Teaching knife skills to a son who reads cookbooks (like the “French Laundry” cookbook- an extremely exclusive restaurant in California’s Napa Valley) for fun is high on my list for summer learning. Thanks so much for the link. And our family benefitted just last night by his enthusiasm to prepare and serve the St. Patrick’s Day meal. After reading your post, I am even more motivated to get him into the kitchen (and into the laundry room, and ready to clean all the bathrooms, not just his own!). I love it!! I teach my children to cook, clean, everything so when they grow up and live on their own they can do it themselves. Everyone has chores and everyone helps. We are a large family and it takes everyone pitching in to get everything done. I have one who really likes to complain about helping like right now she complains about helping with the dogs. She is the only child who has ever asked for a dog. She is one who BEGGED for the most recent dog we got but doesn’t want to help. So I had to remind her of who wanted the dog!! Fun with kids huh!?! ?